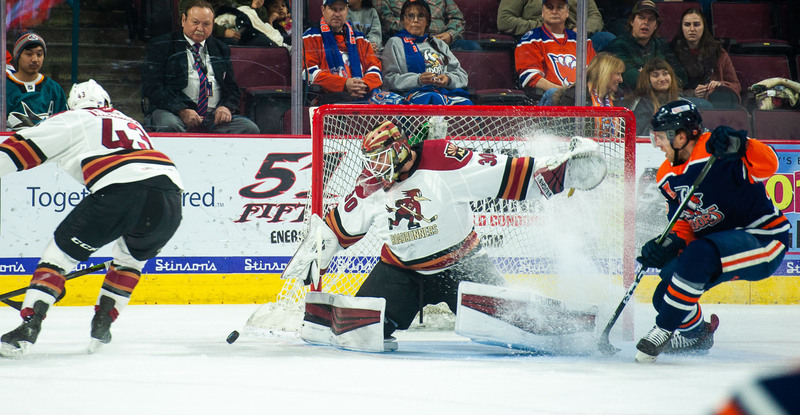 Kyle Capobianco’s game-winning goal 40 seconds into overtime Saturday night pushed the Roadrunners to a 2-1 victory over the Bakersfield Condors at Rabobank Arena. The team picked up all four standings points available over the weekend, sweeping their way through California as it looks ahead to playing eight of its next 10 games on home ice at Tucson Arena. Calvin Pickard got the call to start for the second straight night, and was nothing short of spectacular, stopping 34 of the 35 shots he faced, including numerous Grade-A opportunities to earn his second win with the Roadrunners. “[Pickard] had a couple of huge saves for us, sometimes you just really need your goalie to make a save to shift the momentum back in your favor and he definitely did that tonight,” Fasching added. The 26-year-old netminder, with the Roadrunners on a conditioning assignment, turned away a heavy Bakersfield attack throughout the night, notably in the first period to keep the Roadrunners on even terms. Neither team would find the back of the net until the late stages of the second period, when Tyler Steenbergen buried his fifth goal of the season as he fell to the ice, beating Bakersfield’s Shane Starrett with a shot from the slot after David Ullstrom and Giovanni Fiore worked tenaciously to cycle the puck low in the offensive zone. Steenbergen’s goal gave the Roadrunners a 1-0 lead. The Condors would finally beat Pickard with seven seconds left to play in the middle frame, tying the game 1-1. After a scoreless third period, the teams extended to overtime; it served as the eighth game for the Roadrunners that extended past regulation time this season. In the opening minute of the extra frame, Ullstrom connected with Capobianco to deliver a lead pass, and the Roadrunners’ All-Star defenseman walked in alone to beat Starrett with a slick move to his forehand, beating the Condors’ goaltender high to the blocker side. Ullstrom finished the night with two assists, his sixth multi-point performance of the campaign. 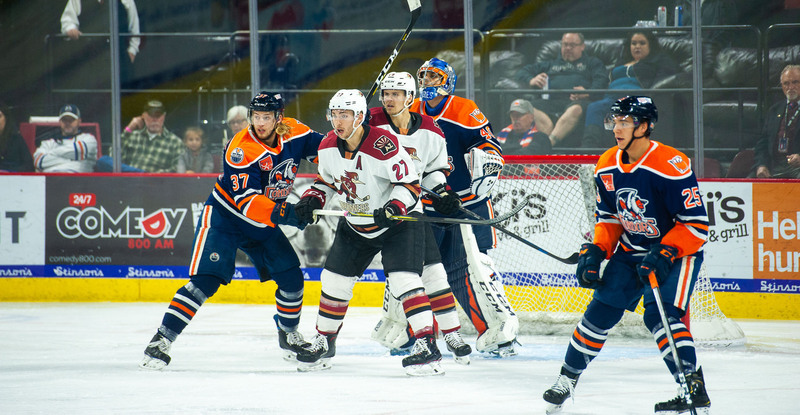 The Roadrunners will return to Southern Arizona to begin a two-game home stand on Friday night against the Chicago Wolves at Tucson Arena, where the puck is scheduled to drop just after 7:05 PM.